So, you’ve been on the hunt for your ideal Lexington MA home and while you’ve started the search on your own, you’ve come across some questions that still seem unclear. One of the greatest ways to dig into the Lexington Real Estate market is with an agent that knows the area and can answer those unique questions. A topic that seems to come up is Homeowners Insurance. While you may understand the value of having insurance for such a large purchase; questions may arise regarding what the insurance entails. Since I’m here to help in your Lexington home search; I thought a basic Homeowners Insurance 101 would be helpful! A home is one of the major things you will invest in throughout your lifetime. It’s a natural response to want to protect this large financial venture and that is where homeowners insurance comes into play. Homeowners insurance is between the homeowner and the insurance company. This contract is in effect as long as the homeowners pays the necessary costs and meets the policy requirements. If the homeowner is holding up their end of the bargain, the insurance company agrees to reimburse the owner for any damages or loss accrued during a natural disaster or human-caused damage. Basic coverage protects the homeowner against natural disasters such as hail, lighting, fire or wind damage. Typically, hotel and food is covered if you are forced to leave your home during this time. Surprisingly, flood and earthquake damages are normally not covered under a basic policy. Because each area varies in the type of natural disasters that may come, separate policies can be purchased. I’ll be happy to let you know your options for Lexington homes. Vandalism or theft is oftentimes covered under the basic insurance policies. It’s reassuring to know that the Lexington area has a low crime rate, although it’s always nice to know you’re covered. Another area covered that many would not think of is injuries that occur on your property. Your homeowners insurance can offer liability coverage for any lawsuits brought against the owner for an injury occurring on your property as well as medical coverage for the persons injured and even costs for any legal defense that may be needed. Homeowners insurance is almost always required. Mortgage companies want to ensure the property is covered for them just as much as you would like it covered for your purposes. 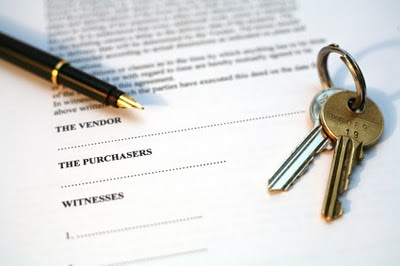 If something happens where you are unable to keep up with the payments, they want to know that they can go into foreclosure with as little complication as possible. Even if you own your home, it is always wise to have homeowners insurance. If you have any further questions regarding homeowners insurance or the Lexington real estate market; please let me know! I look forward to hearing from you and helping you find your Lexington MA home!